It seems to be sci-fi week at SMN, after a viewing of the latest blockbuster in the Terminator movie series. 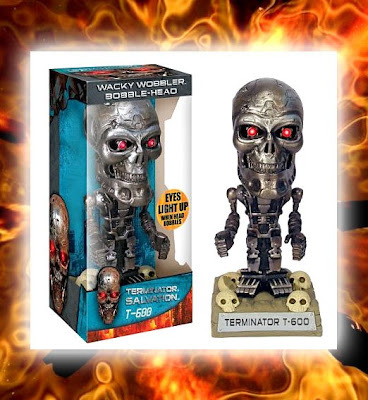 Accompanying Terminator: Salvation is a deluge of collectibles and (hopefully) kits to come. The first wave of collectibles is already here, mostly figures of one sort or another. The Wacky Wobbler Bobble-Head (top picture) is a quite nicely done ’toon variation, if a little at odds with the doomy flavour of the movie. This one comes with light-up eyes, so it has earned a space on my nighthawk workzone! 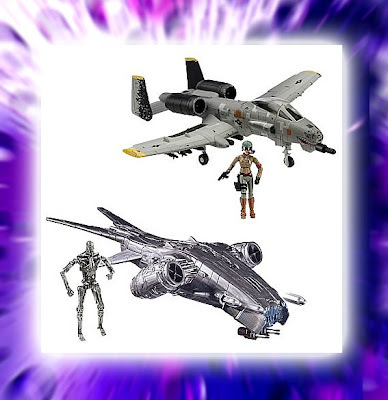 Also available is a matched A-10 and Skynet Hunter-Killer combat duo, with figures (middle picture). The A-10 is a bit toy-like, but you could use it as the basis for kit-bashing an existing model. With some work, the Hunter-Killer robot would make the basis of an excellent sci-fi diorama. 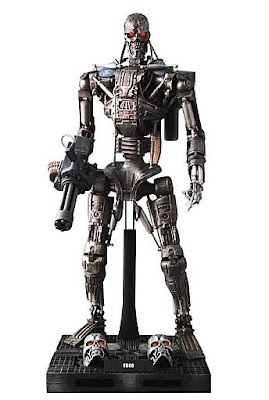 We’ll have to wait a while for more ‘adult’ stuff, such as the 1:6 scale T-600 figure, which isn’t due until after Christmas. Mind you, this one is definitely a save-for item, as it’ll likely retail at some $225.00 USD (£142 GBP). You can buy Bobble Heads at Amazon here. The other two items can be seen at the action figure and collectibles site, Entertainment Earth here and here.